It goes without saying: it has been difficult to be an Arab and a Muslim in Australia this year. The new anti-terror legislation and Australia’s intervention in the Middle East have both created a tense public environment. Despite the government’s insistence that they are not targeting our community, their approach to Australian security has only served to encourage fear-mongering towards Arabs and Muslims in Australia. While these new anti-terror laws have riled up bigotry and discrimination across the nation, there is another reactionary response that is far less discussed: positivity. Never in my life have I experienced such a reassuring response from my country. I have had strangers approach me inquiring about my ethnicity and religion to inform themselves – an act they may not have done previously. I have received weekly Facebook invitations to anti-discrimination marches, community meets, and know your rights talks. More often than not, I find that people smile rather than glare when they catch my eye. All over my newsfeed are stories of strangers trying to make us feel welcome. I recently read a status about a woman who offered my friend her home if she were ever attacked. Her home. 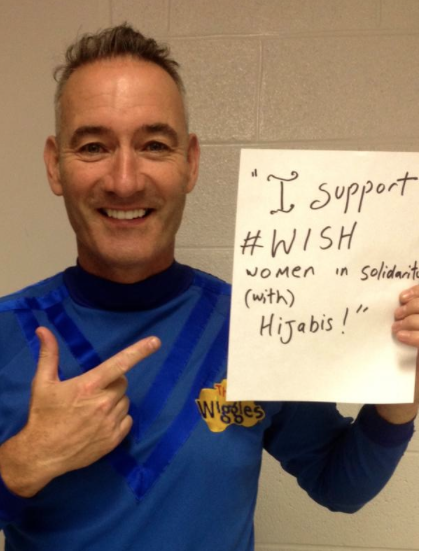 I even saw Anthony Field (more commonly known as ‘the Blue Wiggle’) holding up a sign of solidarity. You know that you’re doing OK when the Wiggles have your back. There are pages like Australian Muslim Faces on Facebook posting photos of Muslims with small introductory captions. These pages showcase the heterogeneity of Muslims in Australia, and present stories of belonging, individualism and what it means to be an Australian-Muslim. Their easy access and wide-reach has already created a broader, more accepting community through social media. So, yes, while these new laws have served their fear mongering purpose for the benefit of our government and intelligence agencies, they have opened up a new opportunity that no one saw coming. They riled us up to unite against injustices occurring at home. People are going out of their way to show kindness towards minority groups, letting us know that they are with us, or, at the very least, trying to find out the truth for themselves by going straight to the source: Us. 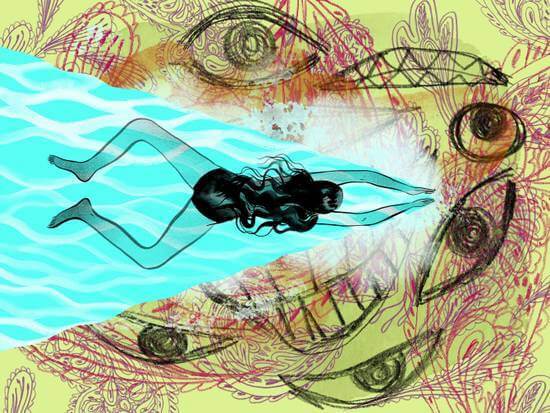 I recently had a woman sit down with me just to talk. She asked about my family, and told me that she was disappointed in our media and government. This small gesture made a huge impact on me. It made me realise that while it may seem that the world is against us, it is in fact with us, helping us fight our battles. It’s easy to see the benefit of the positive reactions. Not only is it uplifting, but it helps to acknowledge Muslims as a part of the wider Australian society. It may seem bizarre that I would be so touched at strangers approaching me, but it is more than just that act. To live in a country you call home and constantly be subjected to feelings of inadequacy is belittling and draining. It comes as a surprise to have such a positive response from the public because in the past it hasn’t always been that way. It’s refreshing to feel acknowledged and accepted as an Australian, and to have people defend your right to be Australian. In some ways, however, it can be perceived as frustrating; that is, the only time our community gets support is when we’re under pressure. No doubt, there are some people in the community who would feel it patronising to have strangers attempt to reassure them of their belonging. It can further alienate our differences; our Australian identity shouldn’t even be an issue. Personally, however, I appreciate that people are trying to combat the discrimination with kindness and genuine curiosity. I now don’t feel so isolated in the constant battle against ignorance. In a way, I guess what I’m trying to say, is: Thank you, Tony Abbott. You have provided the perfect environment for people to ask questions that probably would never have been asked. You can’t crack down on a society that is brave enough to know what is right from what is wrong. I’ve never been prouder to say I am Australian. Batool is a Syrian-Australian student at the Queensland University of Technology. Studying law and journalism, she is a brilliant combination of laziness and determination. Most of her time is spent on ASOS, YouTube and Twitter. Conversing about Middle Eastern politics with Batool is ill-advised, although she has learnt to tone it down over the years. She has issues with table manners and will not respond if you start a conversation with her in a cinema. At a party, she will probably be about the fourth person on the dance floor; before most of her friends and after the embarrassing aunties.